The UN Conference on Sustainable Development in Rio de Janeiro provides a good opportunity to review the viability and success of family farming and agro-ecology. The special Rio+20 edition of our network’s magazines is ready, and already being distributed. In terms of food security or climate change, agro-ecology works! Many debates are already taking place in Rio. The presence and participation of thousands of people at the UN conference and at the parallel meetings has triggered a tremendous stream of information about small-scale family farming and agro-ecology; many ideas are being presented and discussed. Building on more than 25 years of information shared with readers all over the world, this issue of our magazines provides an overview of the importance of small-scale farming and of an agro-ecological approach to agriculture, paying special attention to the key thematic areas identified by the authors of the Zero Draft: food security, poverty alleviation, energy and climate change. It shows a variety of examples of how family farmers have been practicing a type of agriculture that is not only sustainable, but essential for a green planet and a healthy population. The articles in this issue show the need for scaling-up these approaches, and what could be the steps in the process. The BMW Group and the UN Alliance of Civilizations (UNAOC) are inviting organizations to apply for the Intercultural Innovation Award. Grassroots initiatives that are promoting intercultural understanding and cooperation in new and sustainable ways shall be recognized. The Intercultural Innovation Award is a partnership between the BMW Group and the UN Alliance of Civilizations (UNAOC), a special project of the UN Secretary-General. Both BMW Group and the UNAOC favor projects that are sustainable, make a long lasting impact and have the potential to benefit the widest possible audience. An international jury of scholars and experts from different regions of the world will assess this year’s applications to ensure that winning projects are innovative and impactful. Five top winners will be announced at an awards ceremony that will take place at the 5th Forum of the UNAOC in Vienna, Austria in February 2013. In addition to a monetary prize winners will benefit from support and consulting services from the UNAOC and the BMW Group over the course of a year. The help provided is individualized to the specific needs of winners, and includes outreach and communications support, fundraising, or networking with funders and sponsors. Deadline for submissions is October 10th, 2012. 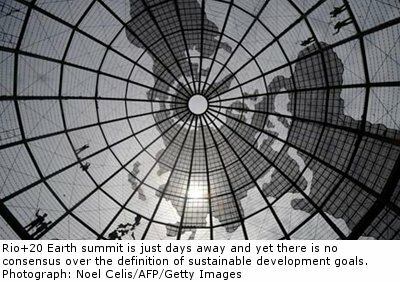 The latest draft text that 180 governments are expected to sign up to at the end of the Rio+20 Earth summit has been leaked to the Guardian. According to the UN, only about 20% of the wording has been agreed, so with just three days formal negotiating time before world leaders arrive in Brazil on 20 June, and with the most contentious language still in, there is unlikely to be a strong agreement. Sha Zukang, the Chinese diplomat who is head of the UN Department of Economic and Social Affairs and will chair the Rio+20 summit, accepts that crucial issues remain unresolved. According to Third World network, the only non-governmental group to publish daily reports on the progress of the negotiations, developed countries are still firmly opposed to proposals by developing countries calling for the provision of “new and additional financial resources”. This has created serious tensions and frustrations with Pakistan, speaking for the G77 and China, saying there was no point in discussing further and no scope for further work and that it was better to “eliminate the entire finance chapter itself”, given the response of developed countries. The most recent text is a significant weakening of previous drafts, particularly in the areas of valuing natural wealth, energy and ocean protection, and even this draft was privately rejected by a number of delegations. “When they gather in Rio, governments must restrain the flow of weasel words that is threatening to emasculate any agreement,” said Leape. “They are not helping their people or the planet by ‘noting’, ‘recognising’ or ‘emphasising’. We need to see time-bound commitment and action words like ‘will’, ‘must’ and ‘deliver’,” he said. “The division over the role of the ‘green economy’ concept was apparent in disagreement over the title of the section. The G77 asked the chair to retain the title previously proposed by the group which was, ‘Framing the context of green economy, challenges and opportunities, as well as other approaches, visions, and models of sustainable development and poverty eradication.’ This was rejected by the US, Switzerland, EU and Korea. “The G77 introduced language to paragraph 50 to clarify that ‘green economy policies’ were to be ‘one of the tools’ and ‘should not be a rigid set of rules.’ In the splinter group, the G77 noted it could support the chair’s text in general but that the “feeling” of the group was that they were ‘not heard’ and the new iterations of the text did not include much of the G77 position. However, paragraph 50 was, in general, one of the few it was happy with and so asked for flexibility from other countries. The EU said to the splinter group that the beginning of the section required some kind of message ‘our leaders’ would be comfortable with, and insisted it was about the ‘tone of the sentence’. When the G77 asked what the difference was between “policies for a green economy” and “green economy policies”, the US replied that “green economy policies” was more explicit about the subject but if the objective was a green economy then you could have either formulation. This textual hard grind is enough to make a sane person mad. Whether it can produce a deal to save the planet, we will have to wait and see. Note: This article titled “Rio+20 Earth summit: leaked draft reveals conflict among countries” was written by John Vidal, for guardian.co.uk on Friday 8th June 2012 16.53 UTC. Livestock contribute both directly and indirectly to climate change through the emissions of greenhouse gases such as carbon dioxide, methane and nitrous oxide. Globally, the sector contributes 18 percent (7.1 billion tonnes CO2 equivalent) of global greenhouse gas emissions. Although it accounts for only nine percent of global CO2, it generates 65 percent of human-related nitrous oxide (N2O) and 35 percent of methane (CH4), which have 296 times and 23 times the Global Warming Potential (GWP) of CO2 respectively. Methane emissions mostly occur as part of the natural digestive process of animals (enteric fermentation) and manure management in livestock operations. Methane emissions from livestock are estimated at about 2.2 billion tonnes of CO2 equivalent, accounting for about 80% of agricultural CH4 and 35% of the total anthropogenic methane emissions. Nitrous oxide emissions are associated with manure management and the application and deposition of manure. Indirect N2O emissions from livestock production include emissions from fertilizer use for feed production, emissions from leguminous feedcrops and emissions from aquatic sources following fertilizer application. The livestock sector contributes about 75 percent of the agricultural N2O emissions (2.2 billion tonnes of CO2 equivalent). Carbon dioxide emissions from the livestock sector are related to fossil fuel burning during production of fertilizer for feed production, the livestock production process, processing and transportation of refrigerated products. Furthermore, livestock are a major driver of the global trends in land-use and land-use change including deforestation (conversion of forest to pasture and cropland), desertification, as well as the release of carbon from cultivated soils. The overall contribution of CO2 emissions from the livestock sector are estimated at 2.7 billion tonnes of CO2. These estimates on the sector’s role in climate change are a result of LEAD’s efforts to quantify the sector’s impacts at a global scale. More detailed analysis is required to shape policies that can effectively mitigate environmental impact at every relevant step of the various commodity chains, and help adapting to climate change. Activity 1: Assessing the contribution of various animal species and livestock production systems to GHG emissions using the Life Cycle Assessment approach. This activity supports the expansion of the knowledge-base and refinement of emission quantification methodologies related to GHG emissions from the sector with the objective of facilitating better understanding of the sector’s impacts, taking into account the differences across production systems and species. Activity 2: Identification of GHG emission hotspots along the food chain to facilitate effective design and targeting of mitigation options. Activity 3: Assessment and development of policy options for GHG emission reduction from the sector. The activity explores how global mitigation policies could generate significant changes in the global geography of livestock production, trade and consumption and policy options for cost-effectively managing the sector’s growing contribution to GHG emissions. 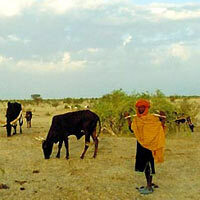 Global economic analysis of climate change policies for livestock. Increasing global agricultural productivity faces many challenges, including a growing global population, increasing incomes (and thus increased demand for more labor- and resource-intensive foods such as meat and dairy), and climate change. Finding ways to sustainably increase agricultural production, particularly in developing countries, is crucial for food security. 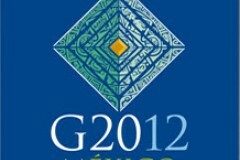 Early in 2012 Mexico, as G20 President, invited international organizations to examine practical actions that could be undertaken to sustainably improve agricultural productivity growth, in particular on small family farms. The preparation of this report, coordinated by the FAO and the OECD, is a collaborative undertaking by Bioversity, CGIAR Consortium, FAO, IFAD, IFPRI, IICA, OECD, UNCTAD, UN High Level Task Force on the Food Security Crisis, WFP, World Bank, and WTO. The report, Sustainable Agricultural Productivity Growth and Bridging the Gap for Small Family Farms, reviews progress made since the Cannes Declaration committed to the sustainable increase of agricultural production and productivity. The report highlights the need for investment in innovative research and technologies to help the developing world adopt more productive and sustainable agricultural solutions. Success depends heavily on a free flow of goods, ideas, knowledge, and services, including training services, across borders. Maintaining this free flow will require global policymakers to work together and ensure a transparent market and institutional environment. The Annual Report 2011 gives a brief overview of ICIMOD’s activities over the past year including advocating mountain issues in global forums, an international conference on green economy and sustainable mountain development, and important contributions to knowledge of snow and glacier cover and climate change impacts in the region. Along with updates on the continuing growth of ICIMOD’s core programmes on ecosystem services, sustainable livelihoods, and water and hazards, the report also includes a short introduction of the newly initiated Himalayan Climate Change Adaptation Programme, which has a special focus on women; and highlights interactions between ICIMOD and member countries, which have resulted in increased country ownership in ICIMOD. Every year, the UNESCO International Literacy Prizes reward excellence and innovation in the field of literacy throughout the world. By honouring the work of institutions, organizations and individuals through these Prizes, UNESCO seeks to support effective literacy practices and encourages the promotion of dynamic literate societies. The candidatures must be submitted to the Director-General of UNESCO either by Member States, in consultation with their National Commissions for UNESCO, or by International NonGovernmental Organizations maintaining official relations with UNESCO. Each nomination must be accompanied by a written recommendation. A self-nomination cannot be considered. Each Government or International NGO is entitled to nominate only two candidates per year. The files must be in English or French only. Institutions, organizations or individuals promoting literacy through effective and innovative programmes or projects are eligible to be nominated. The deadline to submit nominations is 20 June 2012.